Old Made Quilts - Antique quilts and vintage fabrics and feedsacks. Rag Rug frames, stands, books. 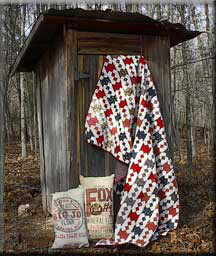 Old Made Quilts sells antique quilts, vintage fabrics and feedsacks. We are the home of Tiger Tape, a guide for evenly spaced stitches. We also like the old crafts and offer a Rag Rug Loom and stand along with an instructional booklet. We have tried to find the most beautiful quilts to offer you with heavy hand quilting and in great condition for you to enjoy for many years to come. Our feedsacks are all washed and ironed and are all 100-pound bags. There is always an ample supply of them in different colors for your next great project. Our Project bags can hold a great deal of fabric and is a great way to keep the entire project together. Tiger Tape™ has a new product for making half square triangles more accurate. We hope you like it. We hope you will find something interesting in our pages as you look through our store. 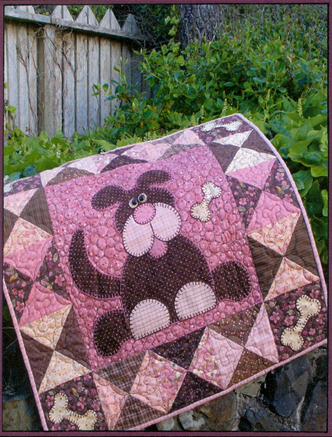 We sell a variety of quilting notions, have added a few more new patterns for your enjoyment and have enjoyed screening our �funny?T-shirts that we have made. Happy shopping and keep on Quilting! We've added some new beautiful patterns that just came in so take a look around! Old Made Quilts accepts orders through PayPal - please visit Products and TigerTape pages to easily order our wares!